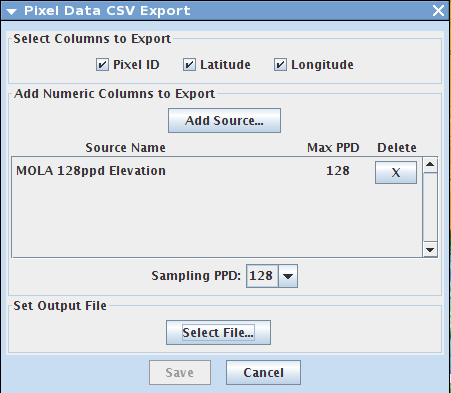 Pixel Export is a tool that allows you to export the pixel values under a line, point or polygon for the map of your choice into a csv file. You can export pixel values for stamps and/or maps. 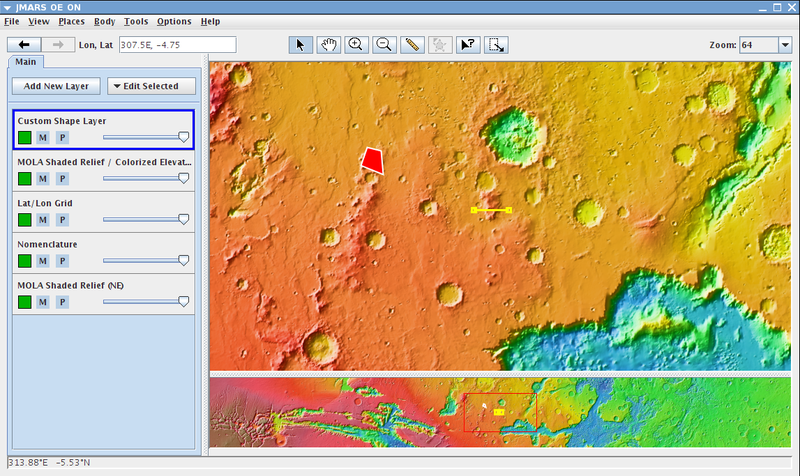 The tool also allows the user to export the pixel values for more than one map at a time as long as the ppd is the same for each map. Below is a short tutorial on how to use the tool. Add a polygon, point or line to your main view. This is the desired area that you would like to have the pixel data for. Right click --> Select Feature and select the shape that you would like. The shape will be outlined in yellow when it is selected. 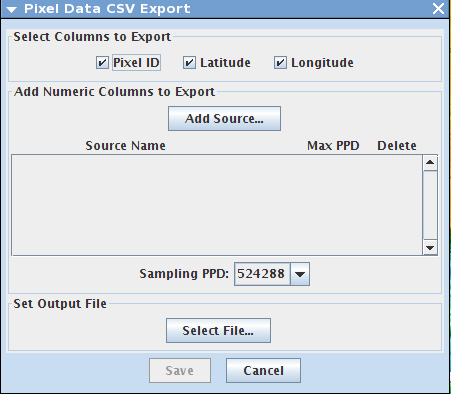 The Pixel Data CSV Export dialog box will open and there are many options to chose from. Select Columns to Export: Select the boxes you would like to export per pixel. Default option is to export Pixel ID, Latitude, Longitude for each pixel. 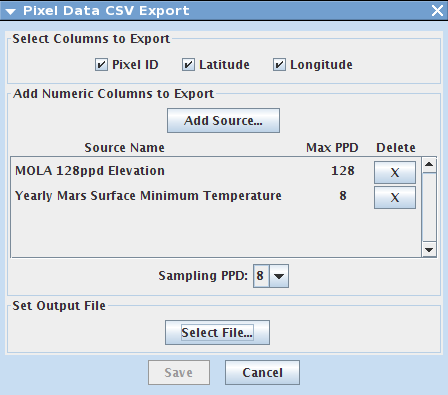 Add Numeric Columns to Export: Add the map you would like to export pixel data for. Click "Add Source..."
Multiple maps can be exported at one time. This will add all of your data to one csv, separated by column. When all of the maps are added and the ppd is selected, click "Select File" to name your csv and to select a location to save it to. When ready, click the "save" button to finish the process. 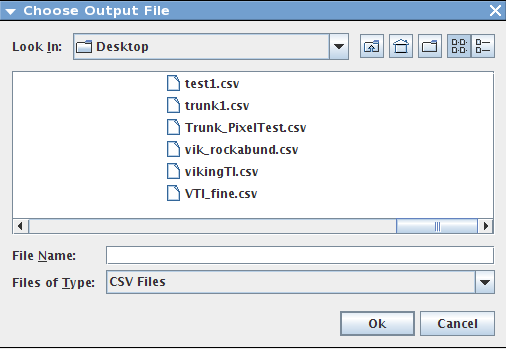 An example of a saved csv file export is below. Here, the Pixel ID, Latitude, Longitude, Mola Elevation, and the yearly Mars surface temperature (min) were exported per pixel.